My family and I spend a lot of time in St Helena and have had the pleasure of spending months at a time for years at this St Helena retreat. The property is beautiful, the house and guest house offer all you need for friends and family to enjoy a lovely time away. The location is very convenient to town offering the opportunity to walk back and forth and leave the car at home. The pool and the high dive are a major hit with our kids and their friends. I would recommend this retreat for anyone looking for a warm lovely place to stay in St Helena, CA. I have stayed in the Wine Country retreat twice for a month each time. The home is large ( 3 bedrooms in main house and 1 bedroom in guest cottage) and very spacious. 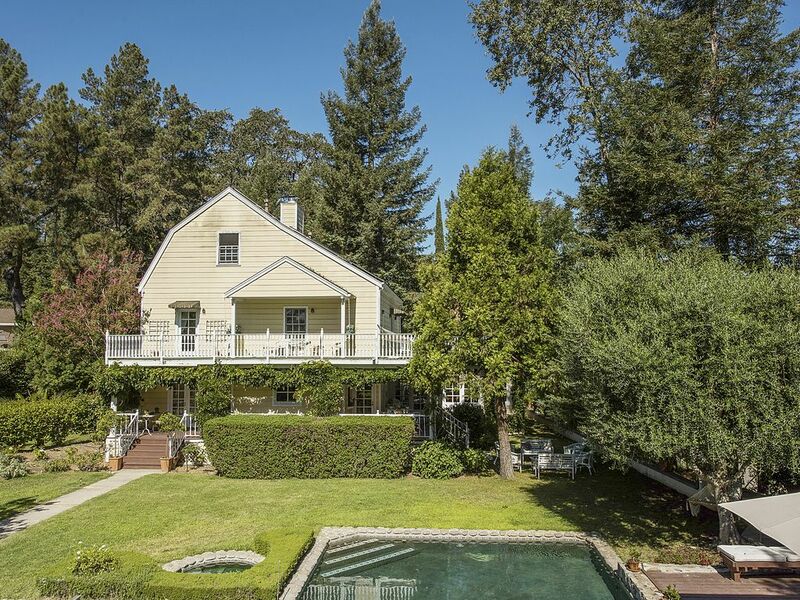 The grounds are expansive for a St. Helena home and located right on the Napa River. The home offers complete privacy with a "out in the country" feel but you are only steps away from everything St. Helena has to offer. The home has a pool with spa. The spa is perfect for a hot soak on a cool Napa Valley evening! If we don't receive a confirmation within 3 days of our response to your inquiry we will unblock the dates requested.